During the cold months of winter, grass goes dormant to conserve water and nutrients. It may turn brown, but it’s not dead; it’s only sleeping through the cold season. The roots are likely still growing during this time, so you can help ensure a healthy revival in spring by running your sprinkler system. This list provides several watering tips to help maintain your lawn, trees, shrubs, and perennials during winter. 1. When Should You Apply Water? As a general rule of thumb, you should only apply water when the temperature is 40 degrees or above. Otherwise, the root tissue may freeze and damage the roots during freezing temperatures. 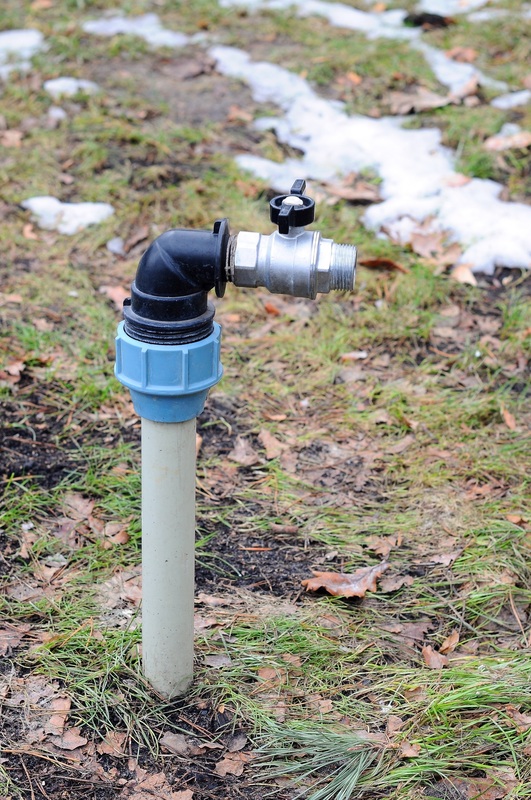 Also, if snow is on the ground, you don’t need to utilize a sprinkler system because snow will melt and provide adequate amounts of water for the roots. When you do water, soak the lawn during midday so that it can be absorbed before freezing occurs overnight. 2. How Much Should You Water? The soil should be soaked at least six to eight inches in depth to provide enough moisture to the feeder root systems for grasses and perennials. Trees should be watered to a depth of 12 inches to ensure water penetrates deep into the soil to reach their root system. If you have an automatic sprinkler system, it can be set on a timer and water based on your schedule. If your sprinkler system isn’t properly insulated, it may damage the system or your pipes. Wrap any above-ground piping in foam insulation, which can be found at your local hardware store. Water will need to be drained from the pipes by installing a manual or automatic drain valve. Consult with an irrigation contractor that offers irrigation winterization services to make sure you have the proper equipment installed. Don’t forget about your lawn during the winter months. Contact the irrigation specialists at Maxum Irrigation in Waterford, CT, for comprehensive sprinkler system and lawn irrigation services. Their experienced team handles sprinkler maintenance and lawn winterization throughout New London County. To schedule a consultation, call (860) 525-7000 or visit them online to learn more about the company.